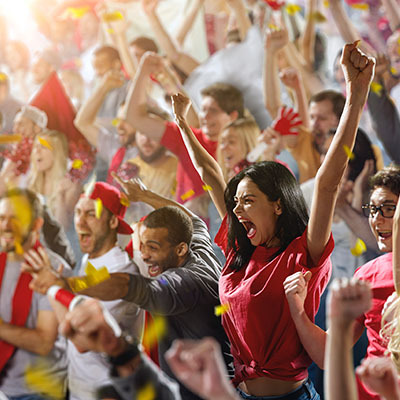 We’ve got promos that’ll help you save big on having fun – check ‘em out! Offer is available during all home games for the Toronto national baseball team one hour prior to the first pitch until the end of the final inning. Guests can purchase a burger and domestic pint of Bud Light or Budweiser for $20 (before taxes and gratuities). Burger toppings are extra. Maximum of one (1) package purchase per person, per day. Offer is subject to change or expire without notice. Cannot be combined with any other offers. No substitutions. Additional restrictions may apply. PURCHASE AN EXPERIENCE TO THE VOID AND GET $10 OFF ANY APPETIZER. * BUY YOUR TICKETS NOW! 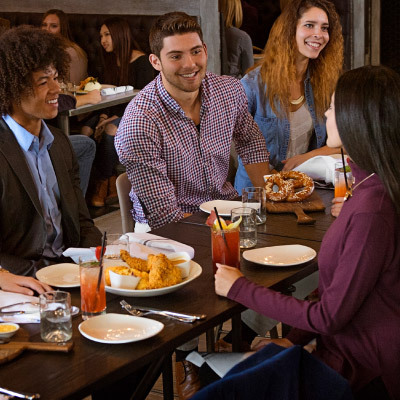 *Until April 30, 2019 purchase one (1) admission to The VOID and receive $10 off any appetizer (before taxes). In location voucher expires on April 30, 2019. To receive your free appetizer, show the server your online ticket purchase. Offer must be redeemed on the day of The VOID admission. Maximum of one (1) $10 redemption off appetizer per person/per day. Available at the West Edmonton Mall location only. Cannot be combined with any other offers, promotions or used for pre-fixed menus that include an appetizer. Voucher is not transferable to other food or beverage items. If the cost of the appetizer is less than value of the voucher, residual amount will not be refunded and may not apply to future purchases. SCENE Points are not earned on the value of the voucher. Offer is subject to change or expiry without notice. Only original vouchers and proof of online ticket purchase will be accepted. The Rec Room cannot replace codes lost, stolen or used without permission. Additional restrictions may apply. Get a 60oz. pitcher of beer and a margherita pizza for only $29 during every national home hockey game. Upgrade to any premium pizza for $2. Offer is available during all playoff games for the Canadian national hockey teams while the teams are on the ice. Guests can share a 12” Margherita pizza and 60oz. pitcher of Budweiser or Bud Light for $29 (before taxes and gratuities), and have the option of upgrading to any premium pizza for an additional $2. Offer is subject to change or expire without notice. Cannot be combined with any other offers. No substitutions. Additional restrictions may apply. Two great experiences. One amazing price. $55 for two. Learn more here. Save 15% on food and gaming credits every day. The Rec Room now offers a 15% off Student discount for active students. Discount is valid on purchase of all food, game tags, game credits, excluding alcohol, attraction purchases such as The Void, taxes, gratuities and the purchase of gift cards. Offer is eligible with valid student ID only. This discount cannot be combined with other offers or coupons. Discount applies to the items purchased and consumed by the student only, not the entire bill. Offer is subject to change or expire without notice. 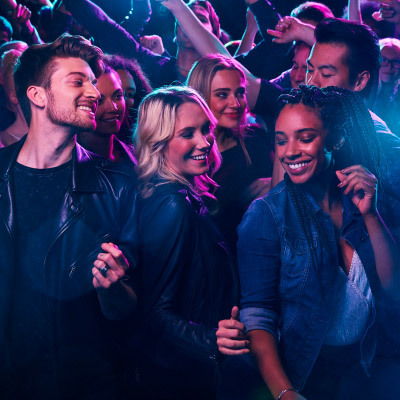 Guests have the option to purchase (1) $10 Game Tag, totaling 40 credits with the purchase of (1) entrée with a minimum value of $14 (before taxes and gratuities). Maximum of one (1) Game Tag per day. Game Tag is not eligible for resale. Offer is subject to change or expiry without notice. Cannot be combined with any other offers. Additional restrictions may apply. Ask server for details. The Rec Room® is owned by Cineplex Entertainment LP. SCENE® are the trademarks of SCENE IP LP. Used under license. On the hunt for after-hour libations and nibbles? We’ve got you covered with our shareable bites and drink specials. Check them out Sunday to Thursday, 10pm until close. Ask your server for more details. Offer available from Sunday to Thursday, from 10pm to close. Subject to change or expiry without notice. Cannot be combined with any other offer. Additional restrictions may apply. Ask server for details. SCENE® points are not earned on the purchase of alcoholic beverages. The Rec Room® is owned by Cineplex Entertainment LP. Looking to change up your lunch game? We now have lunch specials available from Monday – Friday 11am - 2pm! Ask your server for more details. Offer available from Monday – Friday, from 11am to 2pm. Subject to change or expiry without notice. Cannot be combined with any other offer. No substitutions. Additional restrictions may apply. Ask you server for details. 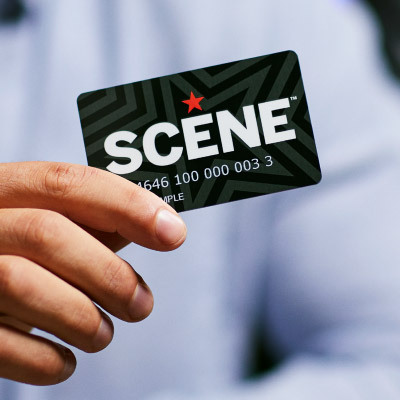 SCENE® points are not earned on the purchase of alcoholic beverages. Get your snack on! Drink specials and snack size bites available Monday to Friday. Ask your server for more details. Available 3 - 6 PM. Enjoy 10% off your visit with valid Military ID. The Rec Room now offers 10% off Military discount for Active Duty, Retirees, and Veterans with up to three (3) guests. Discount is valid on all food, game tags, game credits, and attraction purchases, excluding alcohol, taxes, gratuities and the purchase of gift cards. Offer is eligible with valid Military ID only. Valid ID includes: Canadian Veterans Card (CVC), Record of Service Card (NDI75), Certificate of Service, RCMP – Retired Member Cards, Veterans Affairs Canada Health ID Card, Canadian Forces Appreciation Program Card, CFOne Card. This discount cannot be combined with other offers. Offer is subject to change or expire without notice. Select 9 oz glasses are the price of a 5 oz pour, so there's no better day to sip, savour and celebrate with friends. On Wednesdays select 9oz. glasses of wine will be sold for the price of the 5oz glass. The offer is available on all Wines by the Glass and does not apply to wine sold by the bottle. No substitutions allowed. Select wines may vary by location. Offer is subject to change or expire without notice. Cannot be combined with any other offer. Additional restrictions may apply. The Rec Room® is owned by Cineplex Entertainment LP.